We have tried to be genuine in sharing Jaymun's story here in the hope of helping others. It has now been two and one half months since Jaymun passed on. Months during which I have screamed, raged, argued, prayed, cried, wandered, pondered, slept, and gone back to work. In my heart I know there remains unfinished business. If we are able to transform the life of even one struggling family, at least this website will have been worth the effort. I still process and evaluate the decisions and methods we used for Jaymun's treatment, especially this summer and fall. It would be nice to wait longer to organize these better, but there is only so much time and my day job is already consuming most of it. I wish it were possible to gather and present the frank opinions of Jaymun's doctors and have that discussion here for the record. Their educated perspective would be a valuable addition to my feeble conclusions. Blaming myself or the doctors doesn't help, and this page is not for that purpose. If we aggressivly dissect what happened I think we can learn rich and timely lessons from Jaymun's life and treatment (both successes and failures). Especially since I am certain there were many points during the last months where any single change had potential to dramatically alter the course. As you read through this list and my conclusions afterwards, keep in mind that the "herbal" plan that got Jaymun a complete remission in 2008 relied on holding poisoning to a minimum by fully leveraging his immune system. (things like NK cell activation, stimulating cytokine production, and improving apoptosis/DNA damage signalling). Otherwise steps in the direction of increased poisoning would risk increased resistance. Unfortunately now I belatedly realize the anti-seizure drug Dilantin we started after relapse the end of July 09, inhibits components of the immune system ( #1, #2, #3) shifting the burden towards prolonged poisoning to eliminate cancer cells. Also I think Dilantin disrupted the redox balance (#4) and ROS (reactive oxygen species) levels which perform (or hamper) signalling functions (#5) as well as "safety valve" functions ...I think Dilantin narrowed or eliminated the "sweet spot" for apoptosis and/or differentiation in cancerous cells addicted to abnormal signalling. I think this helped push Jaymun back towards the old dynamics that I clumsily reasoned in 2008 had reached their effective limit. A) Wish I would have prayed more. B) Wish I would have slept more. C) Wish I would have hugged Jaymun more. #2 Otherwise we should have done an earlier MRI (May? ), diagnostic spinal tap July 1, and MRI end of August after dilantin overdose and guarding symptoms ...basically more consistant testing (once his April CSF fluid showed blasts again) until we had two or three clear tests in a row. #3 Consequently herbal treatment was not calibrated properly (paused from June 15 through July 29). #4 When he had his first seizures, they coincided with an evening intense herbal immune stimulatory dose and the frequency acclerated through several hours, but then slowed and stopped. We didn't start Dilantin until after that - should have held off (may have helped weather the relapse without chemo). #5 Should have continued herbal treatments for another day (till July 20 at least) (and another spinal tap) before resorting to chemo. and especially before installing ommaya for additional chemo on July 23. "... Natural killer cell activity was reduced in phenytoin-treated mice"
"... IFN-gamma production was reduced in phenytoin-treated mice"
#7 I had noticed prolonged (over one minute long) clear fluid leaks mid-August from ommaya port site directly after chemo administration (which I brought to the attention of both neurosurgery and oncology). I should have insisted on some kind of surveilance (ultrasound?) of Jaymun's ommaya sites (lumbar and side) during ommaya chemo doses. That may have helped us stop using the ommaya instead of putting chemo through it even though it clearly hurt Jaymun (he screamed in pain after the chemo started going in). Then too, it may have healed properly and we may have avoided the emergency on Aug 29. #8 CNS chemo was used too long, or not properly coordinated with herbs (July/August). #9 Should have checked Phenytoin levels more often to avoid Dilantin overdose (August). #10 Should not have discontinued herbal treatments during ommaya failure surgery / meningitis in August. #11 Should have done another MRI end of August to confirm what I suspected (chloroma recurrance). #12 Dilantin weaning failure - too quick (cold turkey Labor Day), and then too long (entire month of September). #13 Laxidaisical September Diet (relied too heavily on herbs and didn't	take advantage of probiotics, raw milk/kefir, etc.). Should have babied his gut more with aloe/chorophyl/slippery elm/etc. while I was ramping up herbal dosages. #14 Needed a better way to measure tumor load during Sep. than LDH and platelets. #15 We should have had treatment pauses (more recovery times for liver and gut) the last two weeks of Sep.
#16 Should NOT have done the MRI the end of Sep (or timed it better). #18 Wish I would have had several meetings with the family throughout September to prepare them for what might happen at the end of the month, and blogged about this to get everyone prepared for Jaymun possibly dying at home without going back to the hospital. That way we might have stayed home Sep 28 and had the best chance for making it through. God knows he may still have passed, but with less trauma? I had him down to less than 50mg of Dilantin per day and was close to weaning him. #19 Should have left the hospital the evening of Sep 28 an hour after we got there ...immediately after realizing symptoms were bleed and not tumor driven. However ...that would have required me to tell my family inside a 15 minute window of time while they were putting in the IV's already that I was certain Jaymun was going to die from the plan (Dexamethasone, Dilantin) and so we might as well go home right now. #22a. Should have continued the gut-soothing (chlorophl, aloe-vera, astragalus, beta-glucans, etc.) through the time when we came into the hospital Sep 28-30. #22b. Should not have started morphine as fast (we knew from past experience that the chemo had damaged his intestinal response making him very sensitive to morphine. We had already learned back in 2008 that traditional treatment would give only temporary results, and that Jaymun's body could no longer handle intensified DNA poisoning. After traditional oncology failed July 2008, we then had success with plant therapies which gave us a remission four months later. Together the naturopathic immunotherapy combined with "herbal" treatments that pushed cell cycle arrest, differentiation, and increased DNA damage signaling helped give an entire twelve months of additional time. I think it messed with IFN-gamma and NK cell activity http://www.ncbi.nlm.nih.gov/pubmed/11472401. That changed equations back to the point where continued poisoning (herbal/chemo/radiation) was needed to control the tumor. Which prolonged course was doomed to only short-term palliation (we had already gone that route last year). And besides stressing his liver, Dilantin may have affected herbal ROS modulation http://www.ncbi.nlm.nih.gov/pubmed/12102500 simultaneously inhibiting apoptosis/differentiation http://www.ncbi.nlm.nih.gov/pubmed/20008331 and promoting the evolution of resistance. I tried to wean Dilantin, but was too clumsy at it (labor day debacle), and for some odd reason didn't do my homework on the drug - instead going by gut feeling and obeservation (which was enough for me, but not enough to convince the doctor). So then I suppose a major factor was the relationship between the doctors and I. However, one can always focus on failures and mistakes. I am going to choose to celebrate our joint successes. I think together we accomplished more than most could have expected in today's environment. Yes, I do appreciate doctors who maintain strict adherance to a tested system. Yes, I want doctors who ask tough questions and hold new treatments up to a high standard. In some ways I was presenting them with quite a stiff challenge by forging ahead into experimental medicine, and simultaneously wanting them to help manage it ...medicine they were unfamiliar with. From working with other parents around the world I know some of their personal heartache. It is impossible to consistently make perfect decisions, especially since many times there is no single "right" course of action. Even in Jaymun's last weeks it is hard for me to blame them for implementing their standard system, since we were the ones who brought Jaymun back to them for help. After all, we were still Jaymun's parents ...the doctors would have supported us even if we had simply stayed home. My frustration and heartache comes from learning there are old effective herbal remedies that are yet to be turned into drugs and may (or should) never be. That leaves treatment gaps that in today's environment can only be filled by aggressive parents. Therein lies the potential for life-threatening situations because doctors may not recognize good surprises in time to take advantage of them, or have the confidence to help parents properly manage bad surprises (without losing critical ground by turning off alternative treatments). Carefully documented experience and a well-understood system is better in most situations than a maverick pioneer. We needed both for Jaymun ...but for him to have a longer life would have required going back and applying the lessons we learned at the end to the beginning. ...we simply ran out of time for our little man. Science and experience have taught me that cancer is a disease of aging. When the DNA in our bodies has aged to the point where tolerances shrink between DNA repair, cell reproduction, cell death, and immune response; then what we see is cancer. There are ways to kill the offending portions of our body (cut, burn, poison) and there are ways to stimulate healing (drugs, plant medicines) so temporarily our bodies will be able to operate within those shruken tolerances. However, when your child is born with cancer you need to consider that they are simply prematurely aged. ...and has already lived a beautiful and appropriate life. Read my post on Oct 31. I'm not suggesting giving up the fight, but to celebrate success in terms of additional weeks and months. In the case of leukemia, a large value of transplant is in the brand new set of DNA, which resets the aging clock. For many children the reward of transplant is worth the risk. An alternative is to attempt through chemo/radiation alone to excise the prematurely aged cells, and/or to use food-based medicines to improve the shrunken tolerances while leveraging immune response to maximize quality of life. With what I now know, if Jaymun was born today with AML, I would not want to immediately start chemotherapy. I would instead	try to first eliminate the blueberry muffin spots with herbal treatments. Remember, his marrow and CNS were "clear" and there was only skin involvement. I believe with natural medicines, and immunotherapy I could have prevented disease progression for quite some time. I am not sure but I think there is a good chance we may have been able to keep him alive longer than the three years he lived. Even if he only lived two years, I think those two years would have been better quality than the ones he had with chemotherapy. How do we value life? What is better ...ten years sick or two years happy? Those are only decisions God can make ...in some cases it is better to have hope than knowledge. But what would others have said if from the beginning we ignored traditional medical treatment and Jaymun had died at one year old? Or even 3 years old? We would probably have been condemned, even though his actual course of life lasted three years and included at least eleven months of suffering. Ironically, I came to these broader conclusions from realizing that Jaymun and our family may have experienced the best quality of life these past final months if only we had lost our insurance in May and had instead been forced to rely completely on natural methods from then on. Obviously God has chosen to allow suffering, and for us to learn things gradually. In Jaymun's case that pace of learning consumed more time than was critically needed for him to stay alive. And it was consuming more of my time than was healthy for the rest of our family. And the mistakes were affecting the quality of Jaymun's life - who knows what the long term effects would have been. 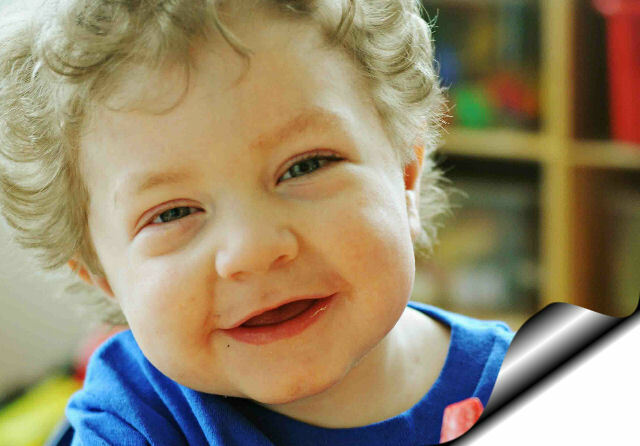 Years of chemo and herbs were keeping him alive, but his mind was that of a happy-go-lucky toddler half his age. God only knows what permanent damage was already inflicted by prolonged poisoning and how that would have affected Jaymun's future life. Jaymun was getting older, and if it broke my heart to see his confusion with pain from med treatments, how much more must it have broken God's heart? Driving through the snow today to work one day this month, I re-lived the time in September when he got his ommaya stiches removed. On the dark road I almost lost control from crying. It had taken an entire 10 minutes (stiches were stuck) during which Jaymun was so confused, sobbing, shaking with pain, and begging "help Da'yee, help Da'yee". I was furious then that we (doctors and parents) hadn't thought to have those stiches removed under his sedation that day. In hindsight I recognized that was my emotional turning point ...the point when I really started to question whether we were doing right. He was such a beautiful little trusting boy, so excited about everything ...and although I truly believed I had learned enough to help him, was it organized enough to prevent mistakes? At what cost to Jaymun's personality would another ten years of cancer treatment have been? Were we selfishly extending a life here that was designed to blossom somewhere else? After much thought, I believe God gave us Jaymun as a gift and when we were no longer able to protect him God decided to whisk him to safety ...to grace the new places. According to Jesus promise (see what he said) I should spend at least thousands of years with Jaymun in new mansions being prepared right now for us. I'm not sure if Jaymun is asleep right now waiting to join me, or if he is already running around the rooms in excitement with my grandmother and others who have gone before. In any event, I anticpiate the day when my work is done here and I can join the celebration with him. I have talked before in broad terms about the Jaymun Foundation and what I would like to accomplish. I have connections with educators, researchers, and clinicians world-wide, but we only have a few-thousand in the bank. After drawing up an outline for my ambitious research, education, and parental support goals, I realized we already have a budget requiring at least a ten-million dollar endowment. Rather than focus my personal efforts on fundraising, I have chosen to strengthen my own company and client base, so I can contribute our own money along with others to launch the Jaymun Foundation. Friends from around the world responded to my request shortly after Jaymun passed on ...thank you so much. I know you all like hearing from us ...I just want you to know that when there are no new posts here for a week at a time, it is because I am getting up hours before dawn to tackle work that needs to be done. It seems we need to dig in for the long haul, so I am redoubling my efforts. Thank you for your prayers and support. Whether you are donating money, sending encouraging notes to our guestbook, or just clicking on our website every day so we can see you are still with us, it is appreciated.